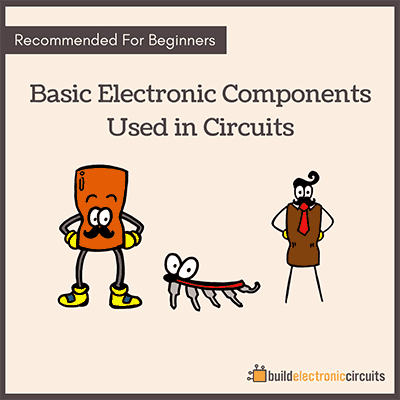 In the previous part of the microcontroller tutorial series, we looked into the basics of microcontrollers. Our goal is to build a microcontroller circuit that is as simple as possible. So that we can make it at home. What Are the Differences Between Different Microcontrollers? There are a gazillion different microcontrollers. But what is really important for our project? 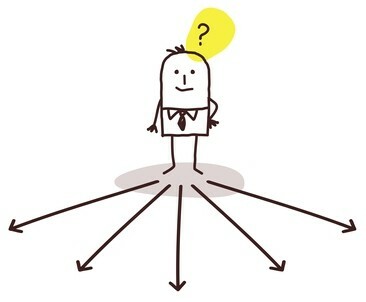 When you have the answer to this questions – everything becomes much simpler. So, let’s look at some differences between microcontrollers. You can find 8-bit, 16-bit and 32-bit microcontrollers. These numbers refer to the size of the databus. In practical terms, a larger databus can do more heavy calculations. The 8-bit microcontroller is the most commonly used by hobbyists. In general, the 8-bit microcontroller has fewer pins, so that it’s easier to solder. And it is usually easier to program too. In this microcontroller tutorial, we’ll be using an 8-bit microcontroller. Different microcontrollers have different amount of memory, number of Input/Output (IO) pins and peripherals. Peripherals are extra functions added to the microcontroller. It could be Analog-to-Digital conversion, USB interface, Pulse-Width modulations or SPI-communication. If you are not familiar with these terms, don’t worry. You’ll learn them when you need them. The two most common microcontroller-brands for hobbyists are probably AVR from Atmel and PIC from Microchip. AVR is the type of microcontroller used on the Arduino. I have used AVR a lot and I think it’s a really good choice of microcontroller. The PIC is said to be really good too, but I have been so happy with the AVR that I never actually tried the PIC. Now it’s time to start making some decisions. Should we go for the AVR from Atmel or the PIC from Microchip? Since I have used the AVR many times before, I’m just going to go for AVR again. I know this will save me time and energy. This is very common among electronics designers – to make their decision based on what they have experience with. Ok, we have narrowed it down to 8-bit AVR chips. What else do we need? My goal with this, is to build a microcontroller circuit that is as simple as possible. 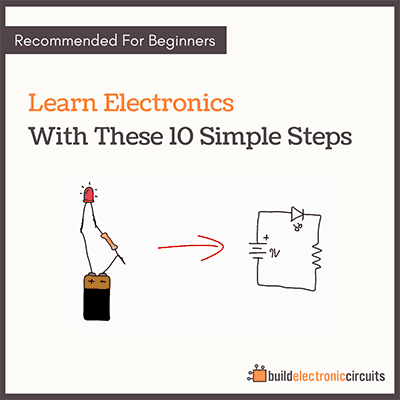 I want a simple circuit that I can plug into the USB of my computer to program it. There are several ways to be able to program the microcontroller through USB. 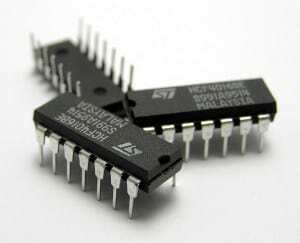 A common method, used on some Arduino boards, is to add a “USB to serial”-chip to the circuit. The problem with this approach is that it increases the number of components on the board. Another method, is to find a microcontroller that has USB interface integrated onto it. Since this matches our wish for fewer components, we’ll go for this option. Specifically, we need a USB device interface. And we have to make sure the microcontroller comes pre-loaded with a bootloader that makes it possible to program it through USB. The last requirement, is that it should be possible to solder the circuit at home. So we want to find a microcontroller with as few pins as possible. Less pins = easier to solder. Atmel have made a very useful tool for selecting a microcontroller (find it here). Then, we sort our results by pin count. We get 5 results that has 32 pins. None with less pins. So we’ll narrow it down to these 5 options. There is one more requirement though, that we need to take into account. For us to be able to program the chip through USB, the chip needs to be pre-programmed with a bootloader from the factory. The bootloader is called DFU Bootloader. Information on which ones are pre-programmed with the DFU bootloader was a bit hidden. But I found this document which lists the pre-programmed devices on the right. From this document, we can see that the Atmega8U2 does NOT have the bootloader pre-programmed. So that leaves us with 4 options. Since all of these seem to fit our requirements, it doesn’t matter which one we choose. So let’s choose the one that has the most amount of flash. More flash means that we can store bigger programs on the chip. Atmega32U2 with 32kB of flash is the winner! Before we move on, it’s a good idea to check that the chip is available in our preferred store. I buy all my stuff online from one of these stores usually. And at the moment, I can see that the chip is available several places. Now we have chosen a microcontroller, and we are ready to start designing our circuit. Because of the microcontroller we chose, this might turn out to be a pretty simple task. super friend… i read your article every updates….thak you..
Great to hear man, thanks! Great work. I look forward to your next tutorial. Thank you for teaching us with an example project. 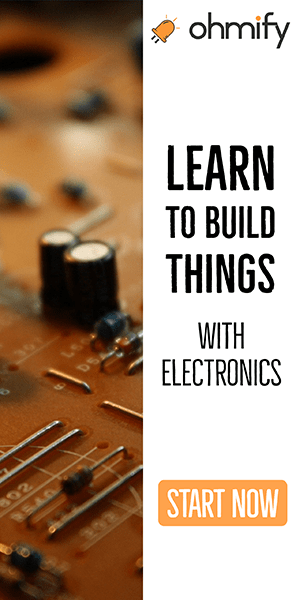 I have been trying to learn how to use microcontrollers. I also really enjoyed your book. Will this be able to control a small quad-copter like one? Yes, but you need more electronics like gyro and motor-controllers..
You are great!!! I am enjoying your marvelous contribution to develop others. May God always be with you. Thank you so much. I looked up the datasheet you linked to (the bootloader one) and there’s no mention of the Atmega32u2, only the Atmega32u4. Do they no longer supply the Atmega32u2 with a bootloader or is the link directing to the wrong page? Hi, yes you are right. It’s not listed there… It’s just an error I think. The Atmega8u2 and Atmega8u4 does not have the bootloader because of memory size issues. But I don’t see any reason for them to stop providing it for the other versions. 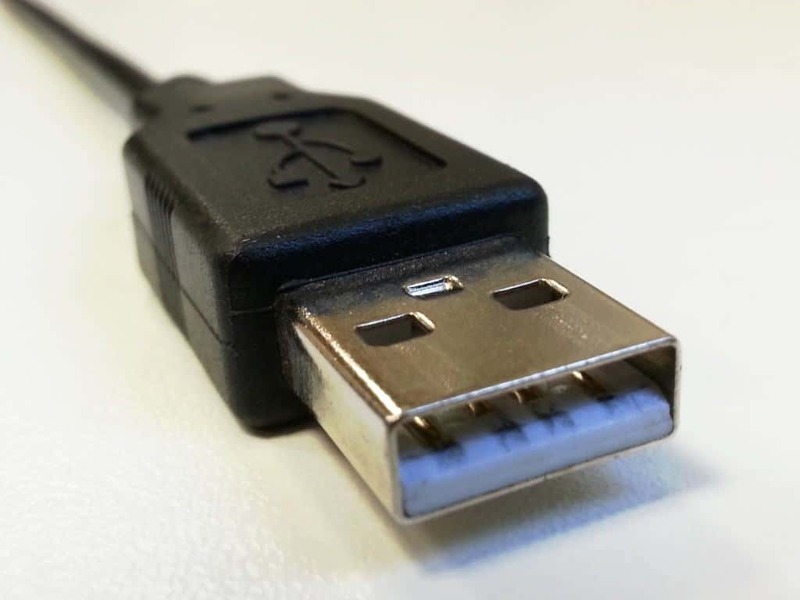 Can you explain USB-serial converter? What does it do and how? Not in a quick comment. But I’ll put it in my list of suggestions and maybe I’ll make an article in the future. Thanks for the tip! If choosing microcontrollers, how do I determine if the microcontroller can program through USB? First of all it needs to have a USB Device interface. Then you will have to read up on the documentation (the datasheet) in the section for programming the device. You should find the information there. Thanks to you much for the free gifts of your knowledges and ideas in your tutorials.May God continue to bless all about you and give you more knowledge. Hi! Thanks for tutorial I’ve enjoyed it! However I’ve got two questions : what makes this microcontroller board less efficient than an arduino (for instance)? Should we add other component to have a more “generalist” controller or am I wrong? I believe the Arduino has some protection to make sure it doesn’t break as easily, and more pins available for connection. But, in general, this is a generalist controller. can i make alarm clock using 8051 microcontroller?? The link for the atmel Microcontroller selector came back with page not found. When I do a simple search for the atmel.com it redirects me to microchip.com. They have a very complex tool for choosing a microcontroller. AH yes. Atmel was bought by Microchip. I’ll see if I can find a better link soon.